Do you know about the Home Depot Christmas light trade in? You’re about to find out. 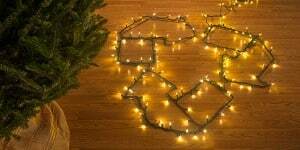 Home Depot will accept your old or broken incandescent Christmas lights. They ran this same deal last year. Now they plan to run it again this year. All you have to do is take your old lights in to a local Home Depot, they will dispose of the lights by safely recycling the lights in an environmentally friendly fashion. In turn for your good deed, you’ll receive a discount between $3 to $5 off to purchase new LED Christmas lights. The best part is that these new lights will last for years to come and will only use a fraction of the electricity. You can partake in this deal anytime between now through Sunday, November 16th.